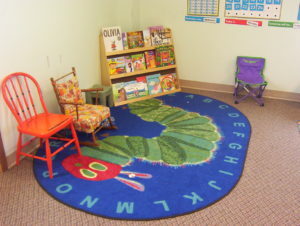 Welcome to New Life Christian Child Care Center. The center is licensed by the state of Wisconsin to care for no more than 33 children at any given time. We are licensed to care for children ages 0 to 7 years old. We are here to give your child the best care possible and we feel that working together with you is the best way to accomplish this goal. Please remember there is no smoking on the day care premises at any time. Hours of operation are Monday – Friday 6:30am – 6:00pm. It is our mission to provide a safe, loving, Christ-centered care to young children and their families. We will try to provide an early introduction to Christian education and ministering to children and their families. Our goal is to create a nurturing and healthy environment for the children to be able to grow and learn physically, emotionally, intellectually and socially at their own pace. New Life Child Care offers full-time, part-time and drop in care at rates parents can afford. 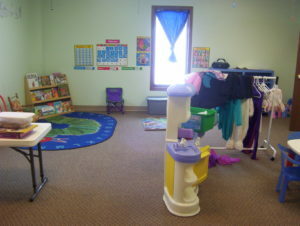 The center not only offers full day child care but we also offer a preschool program 5 days a week from 9am to 11:30am. Please e-mail or call us at (608) 356-4211 for our current rates. New Life Christian Nursery and Preschool participates in the USDA Child and Adult Care Food program. We will follow their required nutritional guidelines when planning meals. Click below to see a typical monthly menu.